The Volunteering Phenomenon – Why Do People Volunteer? Growth through Quality > The Volunteering Phenomenon – Why Do People Volunteer? 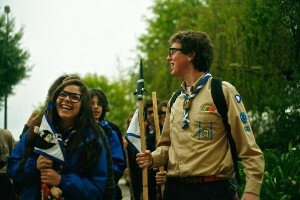 The Portuguese Catholic Scout Association (CNE) conducted a research about the motivations of adult volunteers during 2011 European Year of Volunteering. When somebody starts analyzing the volunteering phenomenon, the question of why do people volunteer immediately arises. What are the reasons that make people give away their time in order to help others? What motivates volunteers? Volunteering is a great way to become involved in the community and by which an individual becomes part of the solution. He is able to demonstrate community commitment, to gain community contacts and to support many social causes. The World Organization of the Scout Movement and its National Scout Associations play a very important role by contributing to the education of young people in order to help them have a constructive role in society. The Portuguese Catholic Scout Association (CNE) has more than 71000 members in c.1100 local groups, including c.13000 adult volunteers, which makes CNE the largest youth association in the country. Almost all the work in the Portuguese Catholic Scout Association is done by permanent volunteers, many of them giving more than 200 volunteer hours per year. The most important work consists in education and tutoring of young boys and girls from ages 6-22. It is also critical for CNE leaders to understand how to motivate volunteers to join and to retain those adult volunteers. The objective of this work was to try to understand the motivation of the adults who volunteer in the Portuguese Catholic Scout Association. This organization, as many others, is facing the problem of insufficient number of volunteers, compared to the increasing necessity of intervention.